The UK MoD has confirmed a Lockheed Martin F-35 will make its first overseas airshow visit this year when one visits the Royal International Air Tattoo (RIAT) from 11-13 July and the Farnborough Airshow from 14-20 July. Approval for the airshow displays was given after high level talks between UK Defence Secretary Philip Hammond and his US counterpart, Defense Secretary Chuck Hagel. The statement did not say what model of F-35 would appear, although it is likely it will be an F-35B STOVL variant as this is the model the UK is buying. Will it be static or actually perform an air display? probaly static Raymond.No 35 for Avalon and that is confirmed. Who said it was static Paul? And who said there won’t be one at Avalon? The jets will be on the static (at the moment) for the RIAT and one will be flying at Franborough International. They way I read the article, I would assume it’s going to fly some sort of a display. Security will be tight around the jet one would figure. Sorry Andrew,it will be flying at both shows(if they don’t have any hiccups with it) and yes,there won’t be at Avalon. Andrew,were you at LOCKMART in Dec last year?I think they said it was highly unlikely for the 35 to come out to Avalon next year. Paul, no I wasn’t, but I am in regular contact with Lockheed and RAAF/DMO/NACC staff on the program. 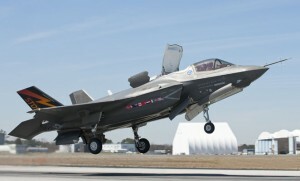 Regardless, any decisions on whether an F-35 will come to Avalon will be made much closer to the event, and will no doubt take into account any political issues which may or may not be in play at that time, as well as progress on the flight test program. Surely with today’s announcement an F35 visit to Avalon is warranted.